Hi everyone!I just want to share with you that I've join some photo contest in Facebook.You see I love joining contest as Ive mention in my previos post and as you can see in my sidebar.I love the feeling of winning.I love the word " CONGRATULATION" in my emails. :)But eventhough,Im not that hopeful,I just do my best effort.If I win,thank you.If not,then that prize is not for me or to cheer myself some more I tell to myself that I deserve more than that. 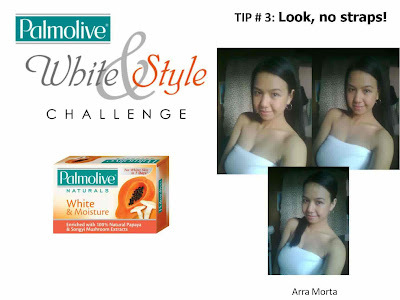 :)So,I joined this promo by PALMOLIVE NATURALS (Palmolive Naturals White and Style Challenge). "Palmolive Naturals provides personal care products for both hair and body. It prides itself with its use of 100% natural extracts, and makes your every bath experience pleasurable! For a naturally beautiful you, go natural with Palmolive Naturals! 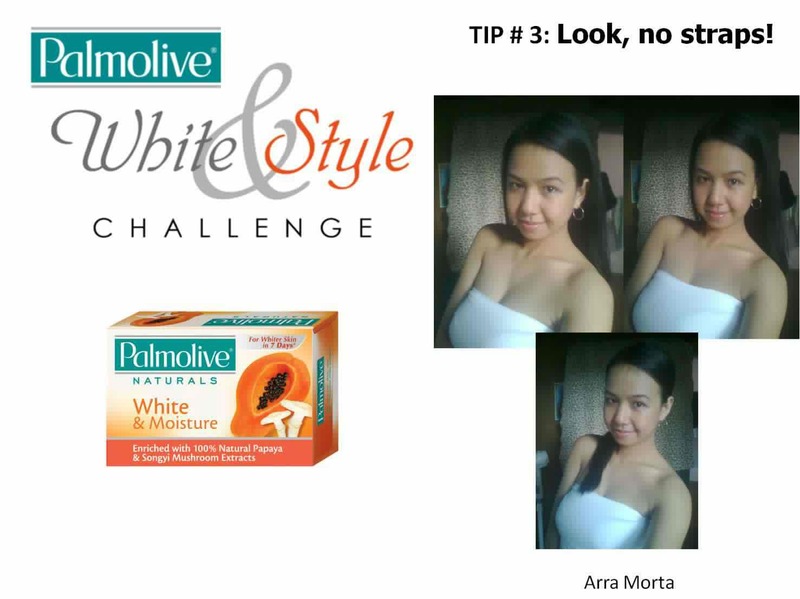 So,what is the Palmolive Naturals White and Style Challenge? 1. 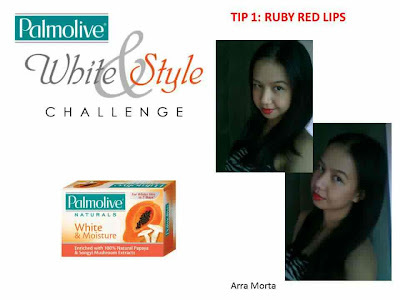 Participants must be female residents of the Philippines, and fans of the Palmolive Naturals Facebook page. They can be a fan by clicking the “Like” button of said page. 2. 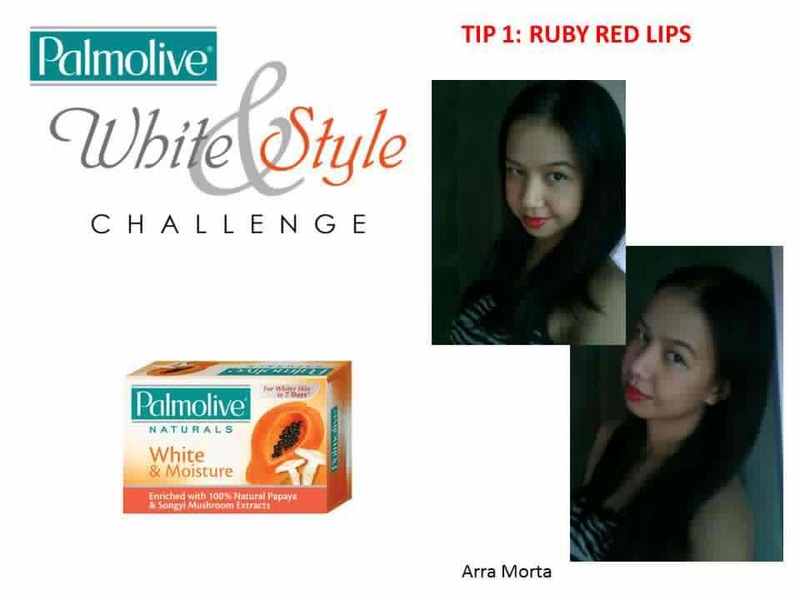 Details and mechanics will be posted on the Palmolive Naturals Weekly White Tips Tab on the Palmolive Naturals Facebook page. 3. Every week, skin-flattering tips will be posted on the Palmolive Naturals Facebook fan page, particularly on the Palmolive Naturals Weekly White Tips tab. Contestants are encouraged to send their photos via email, doing the White Tip of the Week. 4. A sample entry will be shown on the tab as well as reference for contestants. Name, Age, Home Address, Email Address, Telephone / Mobile Number, and the WEEK / TIP that they their entry is for. And just now,I sent my entry for this week challenge LOOK,NO STRAPS.Here's my pic. ang cute, sayang just read about it.